There has been very little activity in my studio this week apart from making a promising start on a massive bargello quilt for Anne from Skye. I ordered a beautiful deerskin for my newest Norse idea from a tannery near Glasgow and started reading a book on Pictish symbolism so I am at least gathering materials and doing research. I seem to have become such a familiar figure at one of the schools where I have been doing supply teaching that the children think I have become a permanent member of staff. I received many requests to teach during the last week of term but I decided that I could not fit it in with my own kids’ end of year school activities. It was a very busy week for two of my children because of their dance show: after a dress rehearsal and four theatre performances, they were exhausted. All of the classes performed really well and the show was excellent. It offered everything from hip-hop & ballet to jazz and tap dancing. I had a whole day out with a friend on Friday when we went to view Gray’s School of Art Graduate Show. The student collections in all types of media varied enormously. I was intrigued by some, puzzled by others, dismissive of some and impressed by a few. I particularly enjoyed the intricate lino cuts that married the student’s African background with his life in Scotland and also a fun blog project where the artist had posted decorated envelopes with cheerful messages to the unknown neighbours in her street. I admit that I was not over impressed with some of the textiles and wondered what it would be like to have the opportunity to study a degree in what has become a passion of mine. 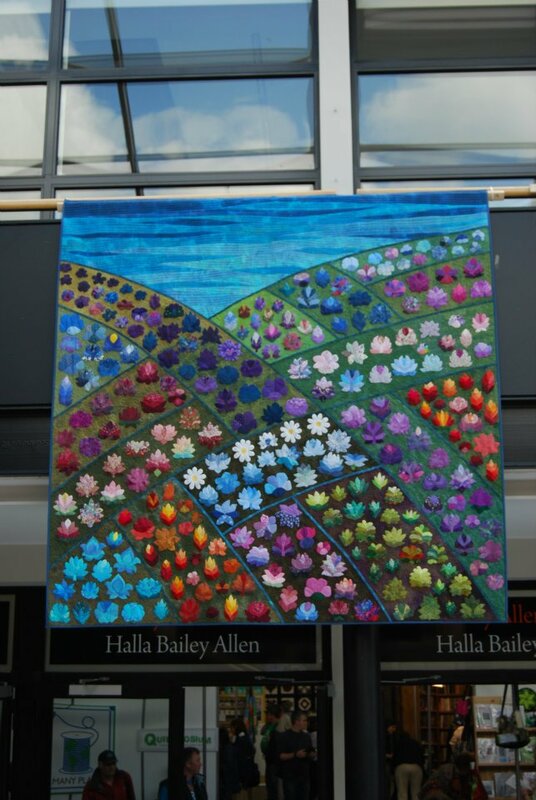 I was impressed at the prices the students had put on their work that was for sale. 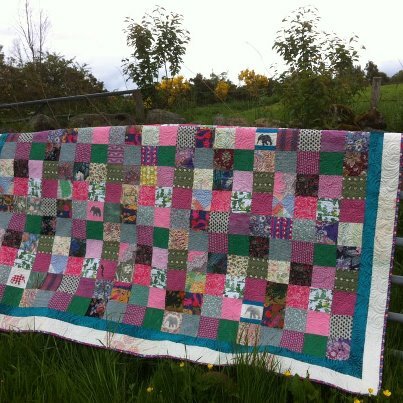 Yet again, I was struck by how little value most quilters receive for their efforts. It reminded me that I must make an effort to produce something saleable for my Open Studio Week in September. Perhaps smaller pieces and patterns would be a good place to start? 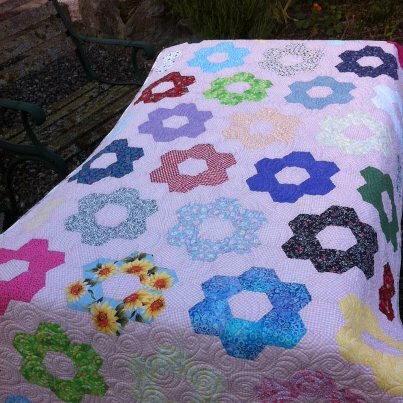 I only managed to fit in one quilting project after catching up on paperwork, emails and two days in the classroom. This was a simple customer quilt made out of thrifty scraps of velvet, linen, wool, cotton lawn, velour and damask. My machine decided that it did not want to quilt fast through this combination, despite recent challenges with oilcloth and lurex. 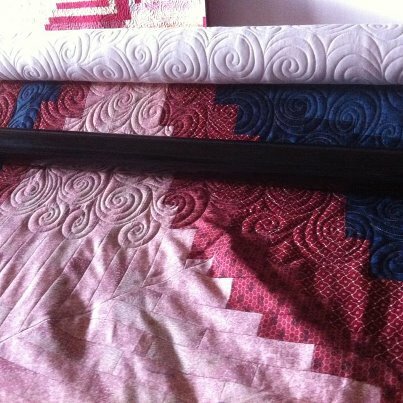 This type of quilt is true to the original concept of utility patchwork where all sorts of fabrics are recycled into a utility bedcover. After it was all done and bound I was rather pleased with the finished quilt. The next big thing to get excited about, apart from the ideas that are gathering for a new series, is… that the Quilted Yurt USA has been invited to be exhibited at the International Quilt Association Festival in Houston, Texas 2012 in a special exhibition entitled, “Tactile Architecture.” Obviously, there are a few logistics to work out such as packing, shipping, insurance but those are just minor details ;)!!! There won’t be much time to think about any of that in the week ahead as I am teaching in school for 3 days and ferrying the children backwards and forwards to Aboyne for the biannual Dance Centre Show. I should at least try to make some notes and draw a few sketches while I am hanging around. This time next week everyone will be exhausted and there will be another busy week of school to cram in after that! It was a typically British wet weekend for the Queen’s diamond jubilee with various outdoor events going on all over the UK. We went into town to watch a parade of Scouts and Guides who would then light a beacon at the top of Scolty Hill. There was a ceilidh band and bouncy castles in the park creating a party atmosphere despite the cool weather. I spent Tuesday figuring out how to squeeze my tools, quilts and clothes into a very small suitcase. I also gave the dogs a summer haircut even though we had to wear thick jumpers and light a fire to “enjoy” a June barbecue. I spent Thursday with Claudia Pfeil helping to hang the antique quilt collection as she had arrived a day earlier and had already set up the longarm workshop. The volunteers were busily running around fetching battens, hooks and signs. There had been an unfortunate computer crash which meant that some of the crucial last minute preparation time had to be spent retrieving bookings information. Everyone was lending a hand to get things ready. 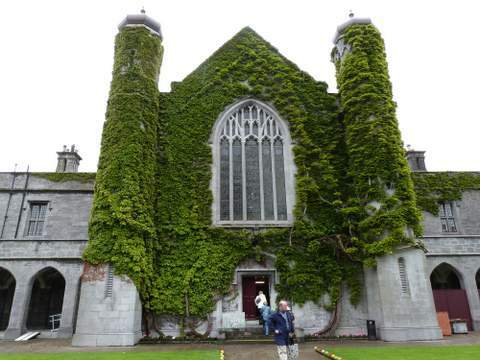 The Festival was held on the University of Galway campus and an amazing theatrical set had been created to make the front entrance look like a medieval Irish castle. The student union bar became “The Wicked Thimble Pub”. 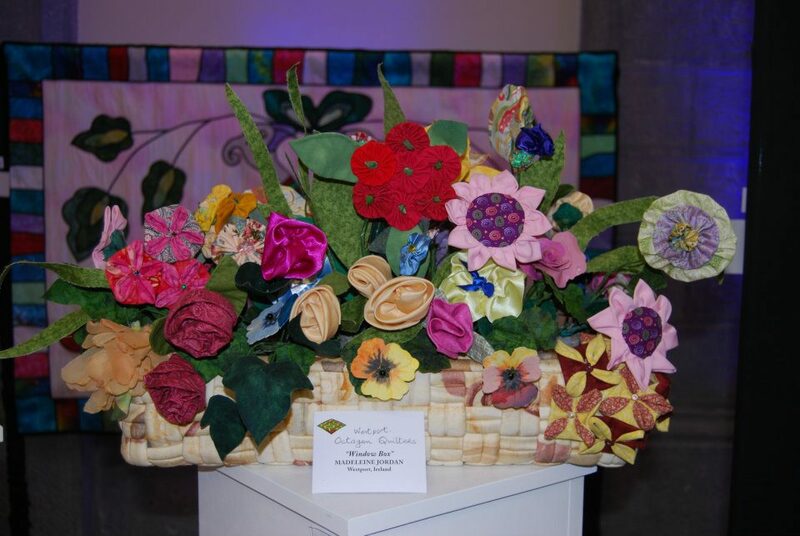 There were cleverly staged themed exhibits, such as “The Quilted Garden”, “Chocolate” and “3-D Quilts”, some of which were enhanced with sounds and smells. That evening we attended a Gala Dinner to open the Festival. After a champagne reception we enjoyed an excellent dinner that was followed by an inspiring speech by Jinny Beyer. The entertainment was far beyond my expectations. 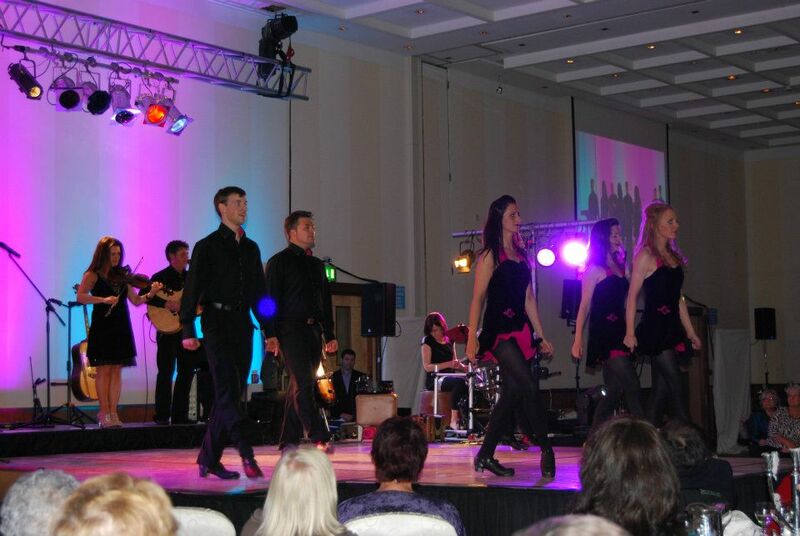 Irish musicians, singers and dancers, some of whom had toured with “Riverdance” and “The Chieftains” gave a world class performance and created a wonderful atmosphere for all of the international visitors. The show opened on Friday – there were long queues of expectant visitors signing up for last minute places for classes with an impressive teaching faculty. Claudia and I soon found that we worked as a good team, teaching and demonstrating on the longarm machine that APQS had shipped from the USA especially for the show. It was a good thing that we had enjoyed a hearty breakfast – we were so busy that we never really found any time to stop and have lunch. Eventually, I sneaked out to have a proper look around the exhibits and the vendor mall. In the evening I met Ellen and we had a pint of Beamish Irish Stout with fresh local fish and chips in a charming pub called “The Quays” in the old part of Galway City. There were buskers in the streets and Irish music playing live in many of the busy pubs. On Saturday the sun came out at last and it made everyone smile. We left early for the show but passed a lively produce market just opening. 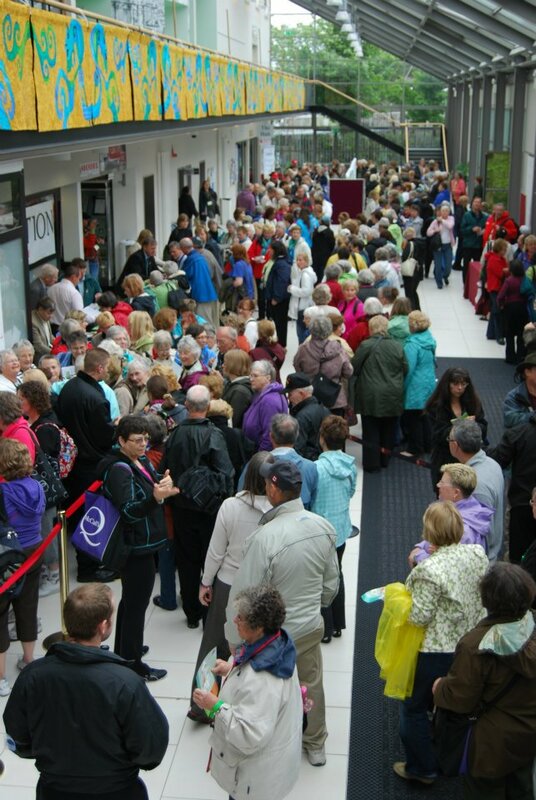 Galway was definitely filling up with people for the weekend. 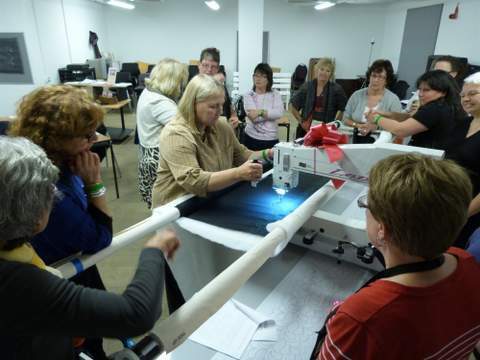 Our students were delighted with Claudia’s “Irish Special Class” which was a combination of creating quilting designs and hands-on practice with the longarm machine. We had all sorts of students from hand-quilters and those using domestic machines to experienced longarmers, all of whom thoroughly enjoyed the classes. During one of the classes we had pupils from Ireland, England, Canada, America, Sweden, Italy, Germany and Switzerland! 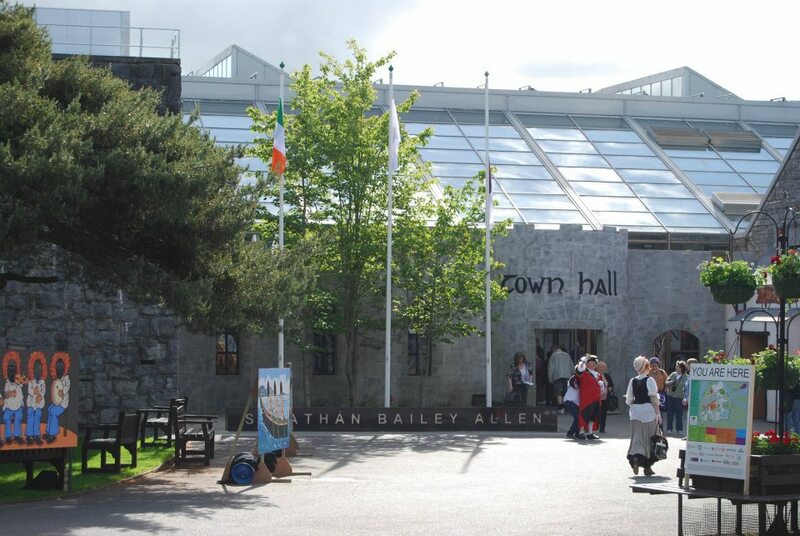 We went out for supper with a group of friends to the Galway City Bakery where we received excellent service. Afterwards, we wandered through Shop Street, soaking up the lively Saturday night atmosphere. 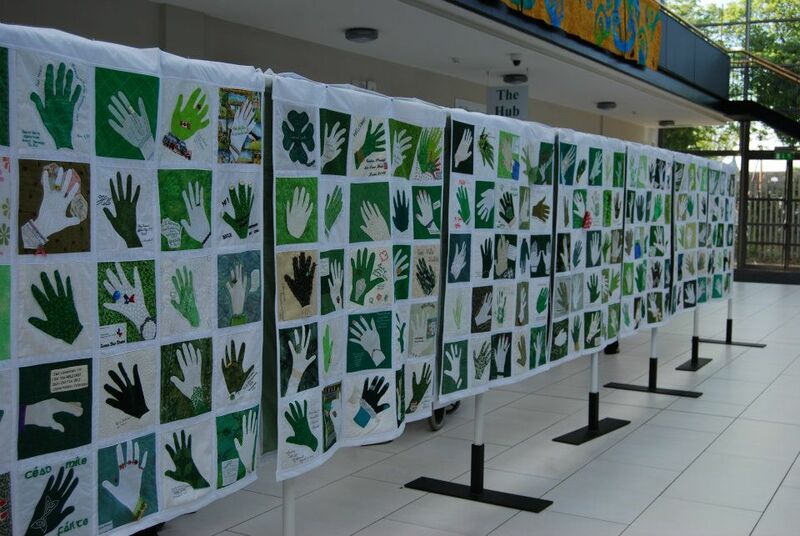 Sunday was a little quieter as the quilters were all becoming tired after all of their touring and festival activities but the sun continued to shine and there were still plenty of visitors at the show. Claudia and I even ran out of business cards. We packed up the machine and thanked Jim West’s stalwart assistants who had been so helpful, especially Nora and Liam. 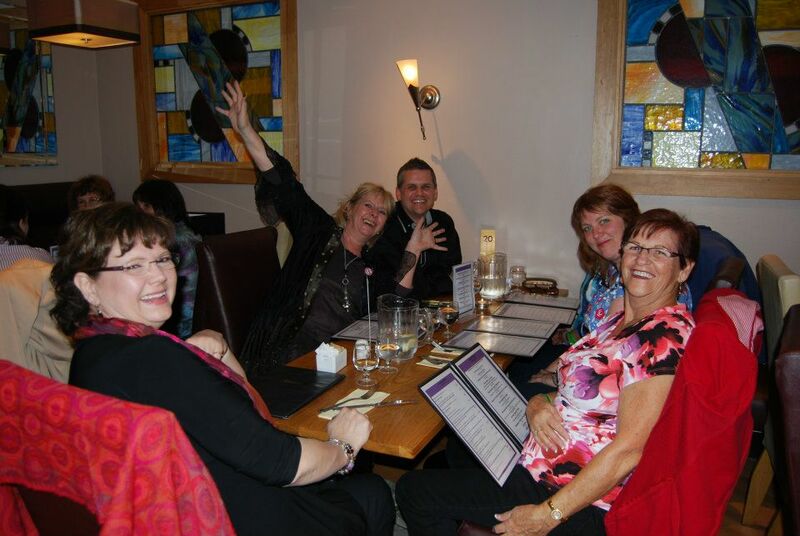 We decided to have supper in the hotel bar with Judi and Angela from British Patchwork & Quilting Magazine. Ireland was playing football and losing against Croatia on the large TV but the locals remained pragmatic about their team’s efforts. We were too tired to explore that evening so we just crossed the road to “Murty Rabbits”, the pub across the road, where football supporters mingled happily with tourists and old-timers and a terrific live folk band played traditional Irish music. 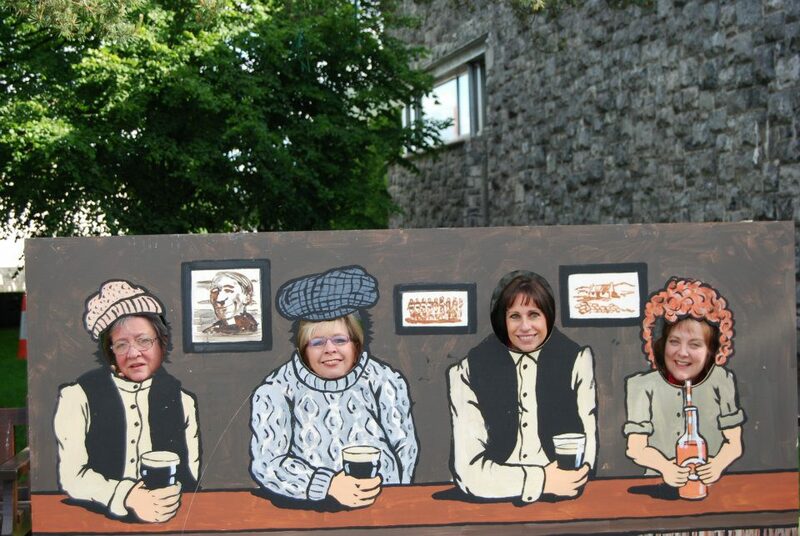 I enjoyed the Festival and found the Irish people charming. 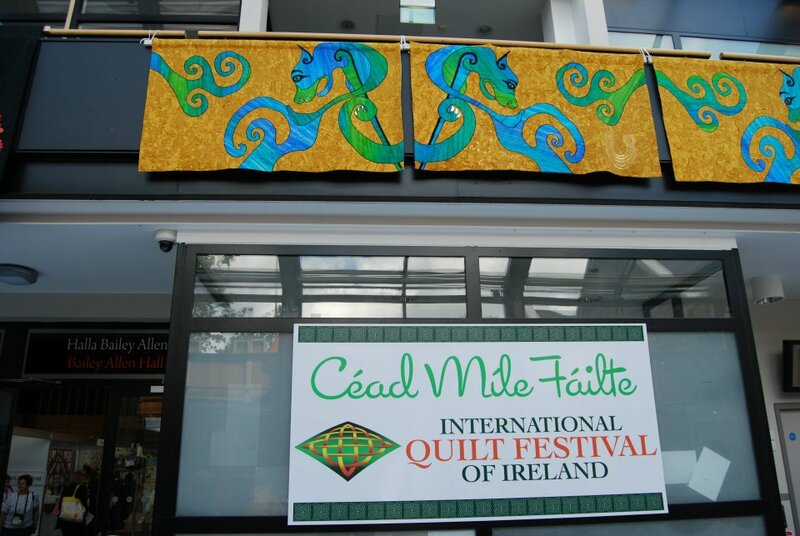 I hope that it is an event in the quilting calendar that will go from strength to strength, getting bigger and better but retaining its friendly Irish charm! An irate school secretary phoned on Monday morning to find out why I had not turned up at school. I was mortified until I checked that it was not on any of my calendars so I suspected that it was most likely not my error since I write teaching commitments down while I am still on the phone! As I felt that my Houston entry was under control, I nipped into town to buy some summer shoes. On the way home the North Sea haar came rolling in and the temperature dropped by 10 degrees. 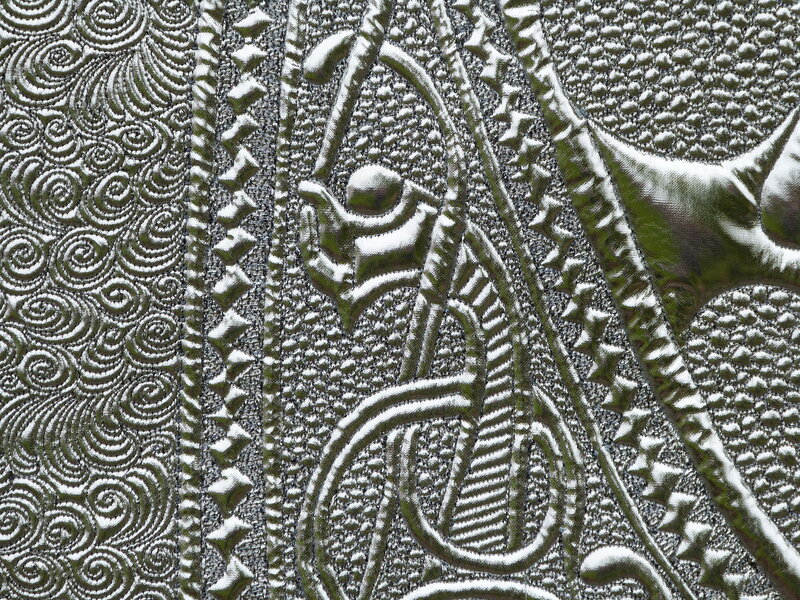 I stapled a sheet to the summerhouse then pinned the Norse Trilogy up for clear, bright photos: a flat-shot of the whole piece and also close-up of the quilting detail. Next I printed out the entry forms and read to my horror that the entries MUST be submitted on a CD, accompanied by a printed photo. This contradicted the information elsewhere on the website that stated that pictures could be submitted via email. I soon discovered that overseas courier services are not as efficient as they claim to be if you live in North East Scotland. I was granted a one day extension to get my CD to Houston and UPS promised to deliver it on time. It was nerve-racking tracking the package as it hung around somewhere else in Texas for a while but it looks like it made it eventually. I learned an expensive lesson that I should become more organised with quilt show entries and there is no guarantee that it will even make it into the show. My pride was injured this week when I studied the judging sheet from the Loch Lomond Show and I noted that I did not achieve “Excellent” for quilting technique, tension and construction. I honestly wondered how it could have been improved! After all of that stress, I decided to clear my in-tray of paperwork and discovered that I had forgotten to send in the information on my entry for FOQ so I quickly measured it up, wrote the blurb and rushed to buy first class stamps. This all seems to indicate that I am trying to do too much or that I really do need a personal assistant. I was surprised to see a man peel the lids off butter in the local supermarket, dip his finger in and check the taste. He saw me watching him then turned around to open up another tub. 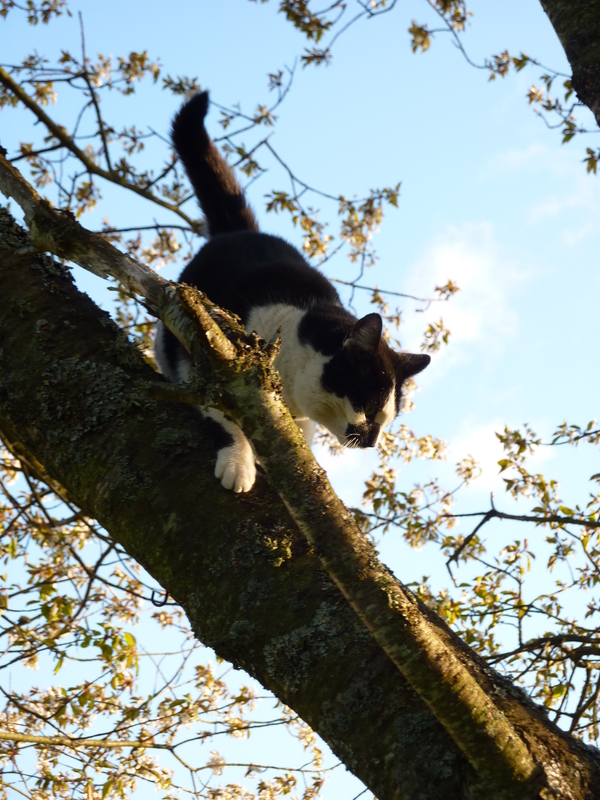 It was revolting but sometimes I wonder if I will behave like that when I am old? For two days I taught the class that the rest of the teaching staff dreads. It would be an understatement to say that several of the children had issues with behaviour… Frankly, it was a gruelling teaching experience and I was glad when I made it to 3.15pm on Friday.